The upgrade to the BS-VI emission norms will push automakers to introduce their more eco-friendly technologies in the Indian market, and at Maruti Suzuki, it will lead to the rollout of the K12C 1.2L Dualjet petrol engine and also mild-hybrid technology in petrol cars. Introduced in the facelifted previous generation Swift in 2013 internationally, the K12C engine still hasn’t made it to India, and Maruti Suzuki continues to rely on the old K12M 1.2L engine instead. That’s probably because its displacement is 1,242 cc, and petrol cars not exceeding 4,000 mm in length and employing an engine with displacement higher than 1,200 cc are taxed significantly higher (43% currently) than the same-sized petrol cars with an engine having displacement not higher than 1,200 cc (29% currently). The switch to BS-VI will lead to Maruti Suzuki discontinuing the ubiquitous D13A 1.3L diesel engine. The K12C Dualjet engine, most likely in a downsized version, and assisted by the SHVS mild-hybrid system, will be introduced to serve fuel economy-conscious customers. The K12C 1.2L Dualjet petrol engine is a naturally aspirated four-cylinder unit that improves thermal efficiency by increasing compression ratio and reducing various energy losses. It has been named ‘Dualjet’ because it has a dual injection system equipped with two injectors per cylinder. Dualjet technology that positions the fuel injectors very close to the engine inlet valves allows for enhanced fuel atomisation which in turn provides a more effective transfer into the cylinder. The K12C engine should have a new type of inlet port and combustion chamber, modified piston crowns, pistons with cooling oil jets and a new type of Exhaust Gas Recirculation (EGR) system. Internationally, the Baleno K12C SHVS features the “Progressive” dual-battery mild-hybrid system (with Lithium-ion and Lead Acid batteries), like the Ciaz K15B SHVS and Ertiga K15B SHVS sold in India. However, the Baleno K12C SHVS in India will have the “Proven” single-battery mild-hybrid system (with only a Lead Acid battery), like the Ciaz D13A SHVS and Ertiga D13A SHVS. The Maruti Baleno K12C SHVS in India will have the “Proven” single-battery mild-hybrid system (with only a Lead Acid battery). 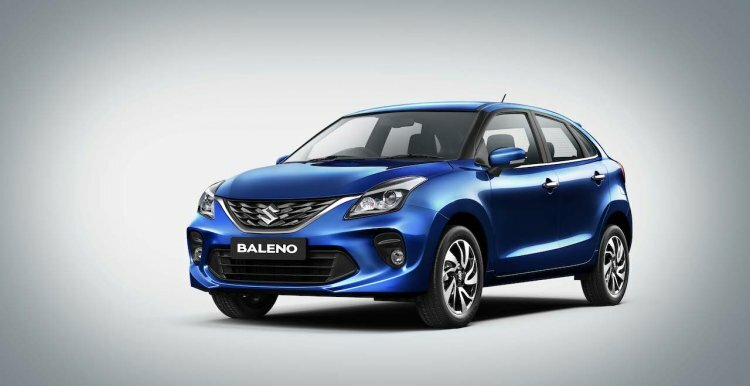 The Maruti Baleno K12C SHVS with higher fuel efficiency, more power and more torque than outgoing Maruti Baleno K12M will go on sale next month. It will be available in only the Delta and Zeta grades initially. Expect a similar upgrade in the Maruti Swift and Maruti Dzire in the following months.